membership campaign « Translator T.O. This is the seventh post in ProZ.com’s Open Road interview series in celebration of the site’s year-end membership campaign. View previous posts in this series here. Today we feature Japanese to English translator Michelle Komura. Michelle is a part-time freelance translator, a role that she balances along with studying and being a mother of three small children. She currently resides in Australia after having spent over a decade in Japan. Q. How long have you been working as a translator, and what kind of changes have you noticed in your work during the course of your career? I have been translating for over fifteen years, with varying levels of productivity. While I can’t comment on the industry as a whole, personally, I am delighted with the technological advances which have allowed me the mobility and flexibility to work anywhere, anytime. For working mothers such as myself, the ability to take my laptop or tablet with me when I meet clients or work away from my home office is fantastic, and definitely increases my productivity Sometimes, I just leave the kids with a babysitter and go off to translate in a café of my choice! I am most certainly optimistic about the future of the industry, especially given the increasingly sophisticated technology available. As mentioned above, it continues to provide great opportunities for working on the go, and while machine translation (MT) could be presumed to spell doom for translators, I think it actually serves to show what a valuable resource talented language professionals are. The ubiquity of MT means that everyone has had the experience of having to muddle through a poor, inaccurate translation at some point. That experience should prompt one to insist upon quality translation. Being a language professional is rewarding in many ways, both personally and professionally, however perhaps the most fulfilling aspect is the opportunity to add to the collective knowledge base through translation. That is to say, being involved in the transmission of ideas, creating understanding and exposure through application of my skills is both greatly satisfying and motivational. For me, ProZ.com is a virtual workplace, a great place to confer with colleagues, as well as a source of work projects. Although I have only recently become a full member, I have already profited from the expertise of the ProZ.com team and the informative discussions in the forums. I look forward to continuing to learn from everyone here. In the short term, I am looking to maintain a steady stream of projects in my current proficiencies, while working toward my graduation in October. My long term aim is to build on my linguistics background and current psychological science studies to transition to a biopsychology specialization. ProZ.com kickstarted this campaign in September with the release of two new service packages to accompany its professional membership. 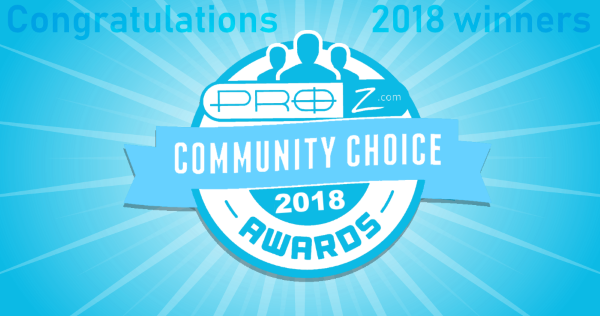 Now ProZ.com members are able to choose between two service packages — “Standard” and “Plus” — according to their personal needs and preferences. Learn more about the Plus package vision in the following video from ProZ.com Founder and President Henry Dotterer. Welcome to the sixth post in ProZ.com’s Open Road interview series featuring the winners of the site’s weekly campaign giveaway. This time we feature Janos Barna, a German to Hungarian translator and a long-standing member of ProZ.com. He answers my questions here in German. Janos, a German to Hungarian translator, at his (impeccable!) workstation. Frage: Ich habe gesehen, dass Sie seit zehn Jahren bei ProZ.com sind. Danke für Ihre Unterstützung unserer Website! Welche Veränderungen haben Sie in diesem Zeitraum in der Branche wahrgenommen? Sind Sie optimistisch in Bezug auf die Zukunft dieses Berufs? Vor zehn Jahren habe ich praktisch ohne Ausnahme alle Übersetzungen ohne CAT-Tools angefertigt, was heutzutage kaum vorstellbar ist. Zur Zeit verwende ich fünf CAT-Tools, weil es viele Auftraggeber gibt, die nur mit ihrem eigenen CAT-Tool arbeiten. Hinsichtlich der Zukunft bin ich optimistisch, ich wollte schon immer Übersetzer und Dolmetscher werden und in der Zukunft möchte ich nach wie vor als Freiberufler arbeiten. Frage: Welches war der erfüllendste Aspekt Ihrer Karriere? Das Beste ist, dass ich sehr oft Texte übersetze oder eben dolmetsche, die wirklich die neuesten Dinge beschreiben. Neue Technologien, neue Ideen, neue Lösungen, neue Produkte usw. die in meinem Land bisher unbekannt, bzw. nur für wenige Leute bekannt waren. Das hat aber auch oft zur Folge, dass ich Ausdrücke übersetzen muss, die in den Wörterbüchern nicht zu finden sind und bei denen ich lange recherchieren muss. Aber das ist das Schöne an der Übersetzung! Frage: Hat Ihnen Ihre Mitgliedschaft bei ProZ.com geholfen, Ihre Ziele als Freiberufler zu erreichen? Wie gesagt, ich wollte schon immer Übersetzer und Dolmetscher werden. Als ich die Ausbildung zum Fachübersetzer und Dolmetscher absolviert habe, habe ich mich sofort selbstständig gemacht. Damals hat mein Kollege an der Universität zu mir gesagt, dass es für mich eventuell vorteilhaft sein könnte, einmal in eine ProZ-Mitgliedschaft zu investieren. Wer weiß, vielleicht lohnt es sich! In den ersten zwei Monaten habe ich leider keinen Auftrag erhalten. Aber nach zwei Monaten, im Dezember 2006 habe ich einen großen Auftrag erhalten. Der Auftraggeber war später mit mir sehr zufrieden, wollte mit mir langfristig zusammenarbeiten und dadurch ist es mir gelungen, in dieser Branche Fuß zu fassen. In den letzten zehn Jahren haben mich sehr viele Auftraggeber über ProZ.com gefunden und ich habe nicht nur einmal, sondern bisher elfmal in die ProZ-Mitgliedschaft investiert. Frage: Das Thema dieser Kampagne ist „The Open Road“. Was streben Sie in Ihrer Karriere als nächstes an? Als Übersetzer und Dolmetscher bin ich immer bereit, mich weiterzubilden. Ferner versuche ich nach wie vor meine Geschäftsbeziehungen zu vertiefen bzw. zu erweitern. Translation of questions into German provided thanks to ProZ.com’s German localization team. Keep an eye out of the Plus subscription benefits page to stay up to date on the latest features in ProZ.com’s Plus package. This week’s interview features Apple Watch winner Marjon Pijl. Marjon is a Spanish to Dutch translator operating under the company name ‘Hasta Luego.’ She is also a professional psychologist, and is based in the Netherlands. Q. What inspired your love of languages? A. In high school I had a wonderful, enthusiastic teacher for French literature. I loved his lessons and he made me think of language in a different way. He opened my eyes to languages in general. Later, when I was a university psychology student, I took a course in Spanish, a language that I immediately started to love. I couldn’t get enough of it, and absorbed all the knowledge I could get and never stopped wanting to learn more. A. As a freelance translator, I am free to choose the jobs that I am interested in. It makes me happy working on a project that is a challenge for my translating skills. Having to think for an hour about a sentence or even a word and finally finding exactly what I was looking for is very satisfying. Sometimes I am so absorbed in a translation project that I suddenly realize that my stomach is rumbling with hunger because I have forgotten to eat for hours. Once I read a translation after finishing it and I see that it fits in all respects, it feels like I’ve successfully conquered a tall mountain and I’m standing at the top, enjoying the view. That is what translating is about for me! A. As a beginning translator from Spanish into Dutch, I needed to find clients. That wasn’t easy. First I worked as a volunteer for several NGOs, acquiring practical experience. Later, I was asked to work as a freelancer for a translation agency in my country. They provided me with jobs on a regular basis, which was a great start. But still, I needed more jobs. After about two years of being a ProZ.com member, new clients started to contact me via my ProZ.com profile. Nowadays I can say that I have a very satisfying number of clients in Spain, as well as in several countries in South America, thanks to ProZ.com. The positive client feedback I have received in the Willingness to Work Again section of my profile has also seemed to help me stand out to potential clients. Finally, the webinars offered by ProZ.com help me to become more and more professional in my work. A. Like the term says: the future is an open road, and that goes for me too. My principal purpose has always been and will always be to have satisfied clients. The way in which I try to achieve this is to keep getting better and trying to excel among the enormous number of translators working in my language pair and fields of specialization. In any case, feeling happy in my translation work is the best criterion of being on the right side of the Open Road. Many thanks to Marjon for sharing her story with us!